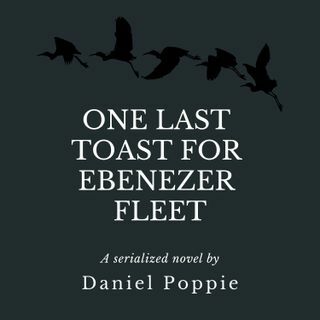 Thanks for checking out my story, One Last Toast for Ebenezer Fleet. If you enjoyed this story, please leave a review on iTunes. Find out more about me and other work that I am doing at www.danielpoppie.com. Follow me on Facebook @howtowritegood, Twitter @HTWGPodcast, and Instagram @howtowritegood.